Red Dead Redemption 2 leads the field of nominees for the 19th annual Game Developers Choice Awards, with seven nominations, while PlayStation exclusives God of War and Spider-Man received six each. All three are nominated for Game of the Year. They are joined in that category by Celeste and Return of the Obra Dinn, which likewise picked up multiple nominations (three for Celeste, four for Obra Dinn). Four of the five nominees for Game of the Year are nominated for Best Narrative, where they are also joined by Florence, which was given an honorable mention for Game of the Year. Nominees are chosen by video games developers and winners are announced during this year’s Game Developers Conference; the ceremony will be held March 20, 2019. Additionally, Amy Hennig, creative director and writer on Naughty Dog’s Uncharted series, will be honored with the Lifetime Achievement Award. Her honor was announced back in December. Another award, The Pioneer Award, will announce its winner soon. 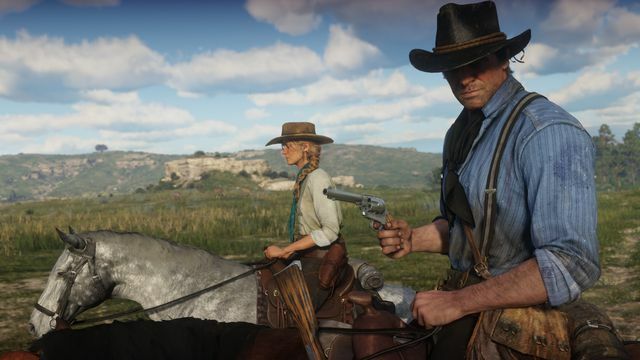 Red Dead Redemption 2, by Rockstar Games, was tabbed for Best Audio, Best Design, Best Narrative, Best Technology, Best Visual Art, Game of the Year and the Innovation Award. God of War, by Sony Santa Monica, and Marvel’s Marvel’s Spider-Man by Insomniac Games were each nominated for Best Audio, Best Design, Best Narrative, Best Technology, Best Visual Art and Game of the Year. Celeste was nominated for Best Audio and Best Design in addition to Game of the Year. Return of the Obra Dinn was nominated for Best Narrative, Best Visual Art, Game of the Year and the Innovation Award. All five of the Game of the Year contenders were in Polygon’s top 10 games of the year for 2018, with God of War as our top game overall.